Jeff received a B.S. in Communications from Northwestern University and a J.D. from Marquette Law School. 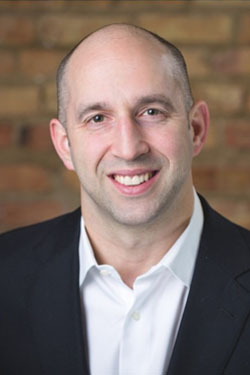 Jeff is a Residential Leasing and Sales Consultant with Urban Living Properties, a boutique real estate company focused on residential real estate encompassing the neighborhoods around downtown Chicago. In addition to his background in real estate, Jeff is a licensed attorney in the State of Wisconsin and a licensed mediator in Illinois, where he has mediated over 100 cases. From this mediation experience, Jeff has learned to listen intently and understand the underlying needs and interests of his clients in order to assist them in negotiating an effective outcome. As your agent, Jeff will utilize those skills to ensure that your real estate needs are thoroughly understood and met through thoughtful and effective negotiation. Whether you are looking to purchase a new home, sell your existing home or find a great rental or investment property, Jeff and StreetervilleHomes.com are great resources to help you make an informed and successful investment. Vikas is the owner and managing broker for Urban Living Properties - the parent company of StreetervilleHomes.com. He has been a resident of the Chicago area since 1998 and has lived in many neighborhoods since then including Streeterville, Gold Coast, Lincoln Park, River North, Evanston and Lakeview. Prior to entering the field of real estate, his experience includes working as an investment banker at Goldman Sachs, & Co. and as an investment professional at Prairie Capital - a leading Chicago based private equity firm. His past experience in advising companies on multi-million dollar mergers, acquisitions and capital raising transactions allows him to be a skilled negotiator and a resourceful dealmaker. He graduated from Northwestern University with a degree in Economics. 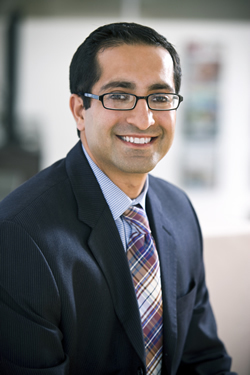 Outside of helping clients with their real estate needs, Vikas enjoys golfing, biking along the lakefront, world travel, and exploring all that Chicago has to offer.